"They really made the process so easy and our vehicles look amazing! A huge thank you to everyone on their team!..." 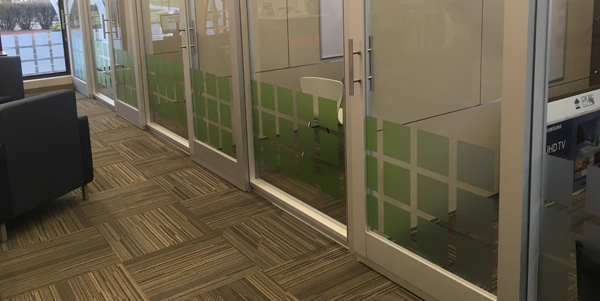 In addition to the 3M Fasara product line we can produce custom printed and cut graphics for your windows, doors and glass walls. MadWraps can produce custom cut or printed logos and designs for all your glass decorating needs. From subtle to in your face we can design, print and install custom window graphics that will meet your needs. Let us give you a quote on your next decorative glass file needs. Call us today at 608-441-9727 or contact us online for a free quote. Let us give you a quote on your decorative glass file needs. Call us today at 608-441-9727 or contact us online for a free quote.